Mobile Farmer’s Markets are Here! 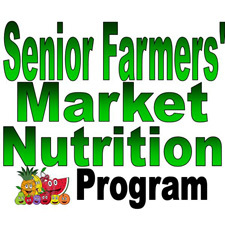 Senior Farmers’ Market Nutrition Program Coupon Holders: Use Your Coupons by October 31st 2015! Now is the time to get your fresh fruits and veggies, all from local farmers! Mobile Market Farmers accept cash, and also accept the $5.00 coupons from the Senior Farmer’s Market Nutrition Program (SFMNP coupons must be spent in $5.00 increments, must be used by October 31st and cannot be used in grocery stores). Selection of produce offered at each market will vary, based on the crops that are ready from each farm. Click here for the full schedule of markets coming to the community centers and to local apartment buildings.